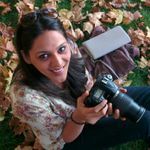 A Perfect Wedding Invitation Matter Guide: 36 Tips to Get All the Details Right | Wedding Tips ARE YOU A VENDOR? 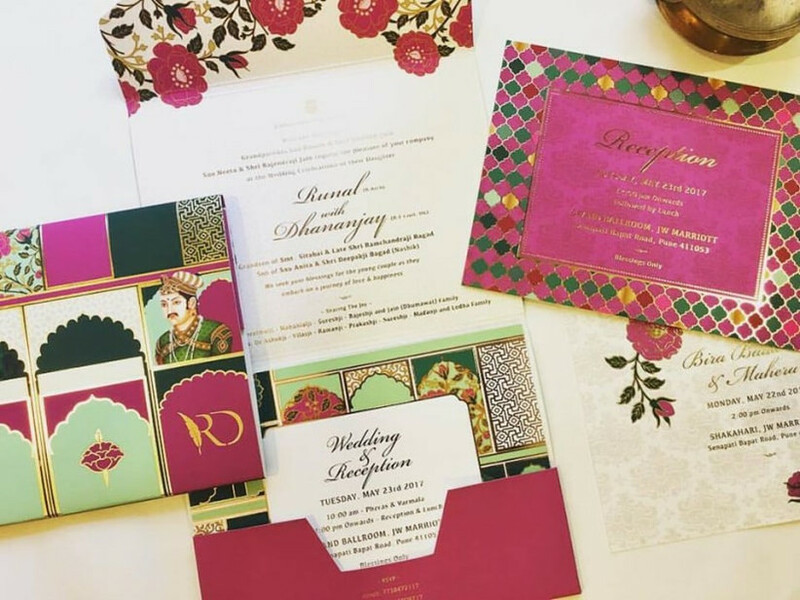 Wondering what goes into writing the most suitable wedding invitation matter? We got this! 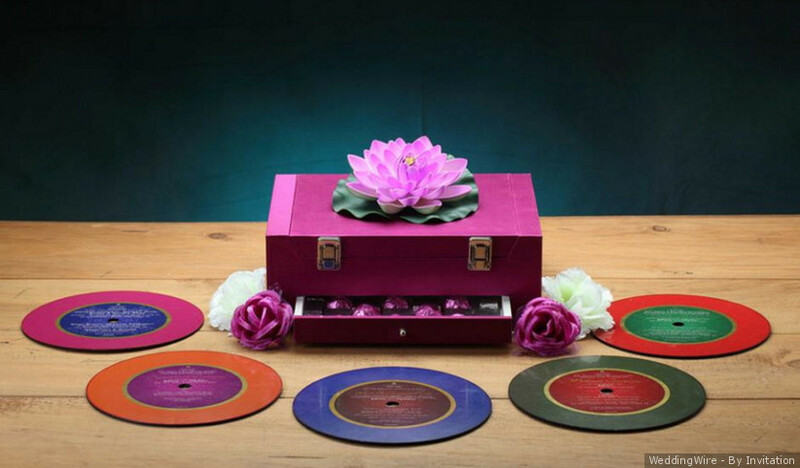 Here’s a list of everything you must and mustn’t do when finalising the wedding invite. There’s no such thing as wrong or false wedding invitation matter, however, some make first impressions while others might be lost in the translation. 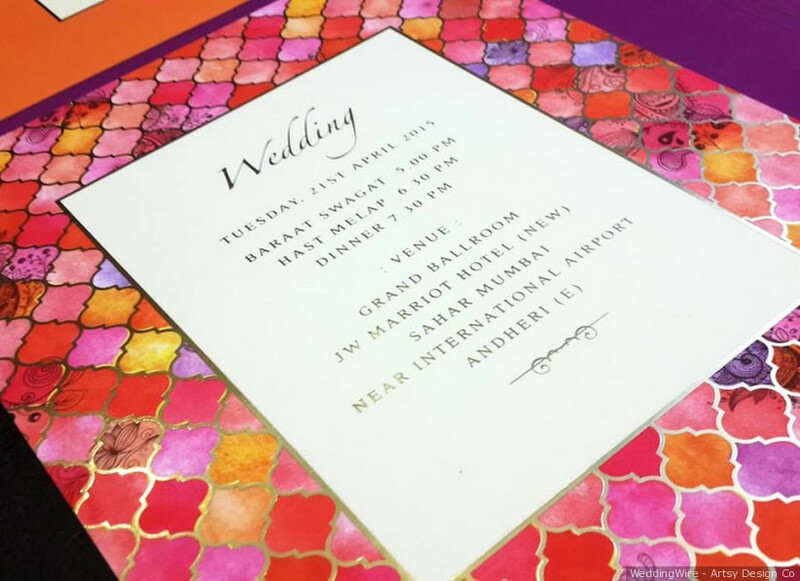 Writing wedding invitation matter is not easy, and the fact that the design of the card also makes a difference to what is being written, adds to the pressure. There are so many things running through your head and there may be so many things you want to say, but let’s keep that for wedding speeches. Are you writing your own original words for the invite or seeking inspiration from other people/sources? How do you want your card to sound? What feeling do you want the words to evoke? 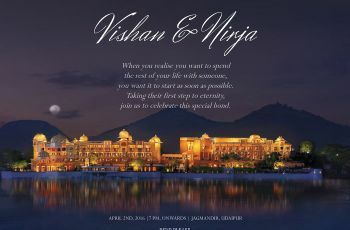 How do you make this formal invitation to your wedding sound warm and welcoming? 1. Make sure all the necessary information – venue, date, time- is accurate. 2. Consider design and then see how much space you have, to fill in words. 4. Keep good spacing between different sections. 5. Take inspiration from other wedding cards or online resources. 6. Take inspiration from books, movies, songs or quotes from famous people. 7. In case of a digital invite, check for the right file size or it may get cut or quality may reduce. 8. Always double check for spellings and other typo errors. 9. Make sure all the names are correctly spelt and initials are capitalized. 10. Ensure RSVP contact details are valid and working. 11. If the venue is far from the city or there are many guests coming from different cities, always add a map at the back of the card. 12. Share GPS location of the venue with digital invites. 13. If you are considering something funny and cheezy to write on the card, consider a simpler and sweeter version for elders in the family. 14. Restrict the use of too many quotes and allow one central quote to be the highlight. 15. Don’t try to fit in everything on one card. If you have multiple functions, go for different leaflets for each. 16. 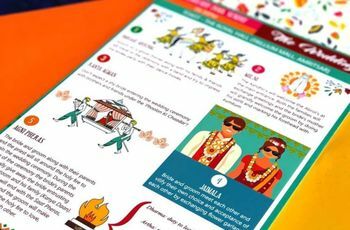 The theme of all leaflets need to be the same; the colours, wording and all can be different, but the theme needs to be the same. 17. Use a font that is beautiful but more importantly, easy to read. 18. Use full names and absolutely steer away from using pet names. 19. Always put the bride’s name first. 20. Don’t use abbreviations, slangs or colloquial words. 21. Use separate lines, paras and points for each detail or information that you add. 22. Always add titles: Dr. Mr. Mrs etc for parents of the bride and groom as well as the guests. 23. Stick to US or British English spellings all through the text. 24. Print a sample wedding card, proofread it and only then give the complete printing order. 25. You can use initials of the bride and groom’s first names to create your own monogram. 26. If you are creating a wedding hashtag, add that to the wedding invitation matter. It’s optional to request attendees to use the hashtag. 27. If you are using formal language to invite your guests, be consistent. 28. Handwritten notes, along with the card are a great way to personalize an invitation. You could do this for the closest friends and family. 29. Use labels on the card to write the name and address of the guests. This should always be handwritten. 30. Don’t use too many different fonts. 31. Don’t go crazy on punctuations. Every sentence does not need to end with a full stop and absolutely no exclamation or question marks. 32. Instead of using first person language like ‘We’, use third-person like ‘Mr. and Mrs. XYZ’. You can use ‘We’ for more informal invitations like a cocktail party maybe. 33. For a digital invite, allow the visuals to be the attention rather than the words. Stick to the basic information. 34. Use the art of storytelling if you are making a video invite. Involve your photographer to build a story. 35. If you wish to add Holy lines or quotes, use the back of the envelope or the topmost part of a card. 36. DO NOT use emojis. That sounds easy now, right? 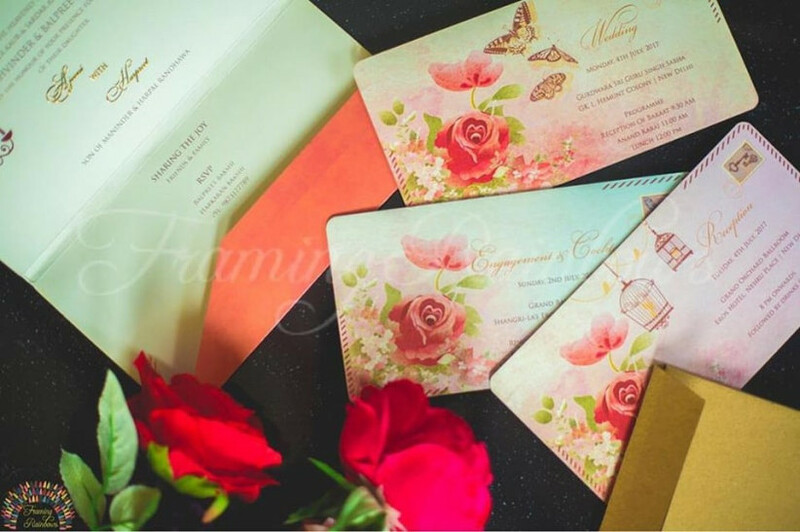 Wedding invitation matter must be first informative and then beautiful. You want to make sure that your guests reach the right place, on the right day and at the right time. 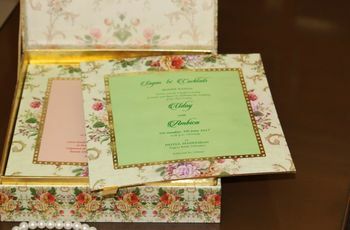 Everything else you add to the wedding invitation matter must be woven around that information. Keep calm and write on! 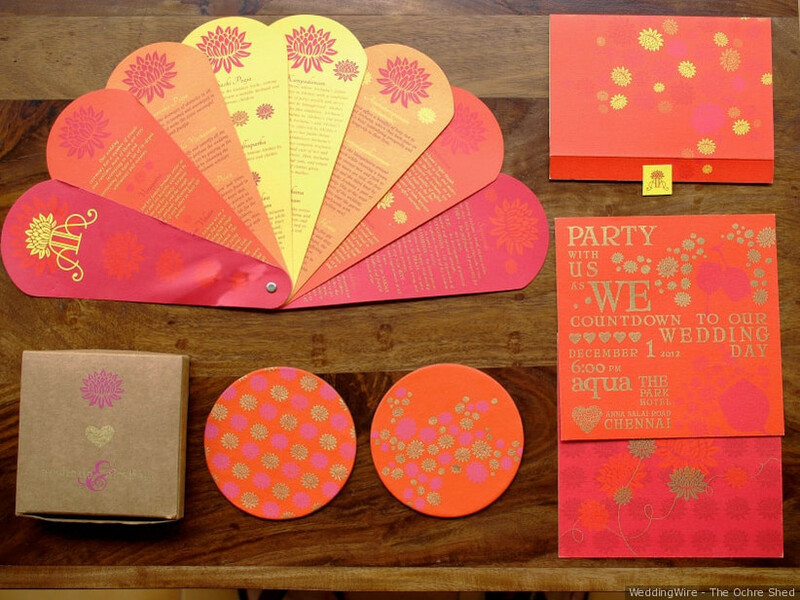 Do let us know if these tips for your perfect wedding invitation matter were helpful for you.